We would like to drawn your attention to important developments related to Dubai health insurance regulatory requirements following the release of Circular 10 of 2018 issued by the Dubai Health Authority’s (DHA) on 8th November 2018, with immediate effect. For your easy reference, please see below some of the salient features of the circular. In this circular of Dubai Health Authority, there are some important updates to member-level information that is required for members and dependents for all medical insurance policies. It is now mandatory to share the resident visa file number for each Dubai based member and dependent with the Insurer. 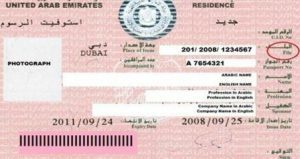 The resident visa file number for each Dubai resident is available on their UAE residence visa stamped in their passport.